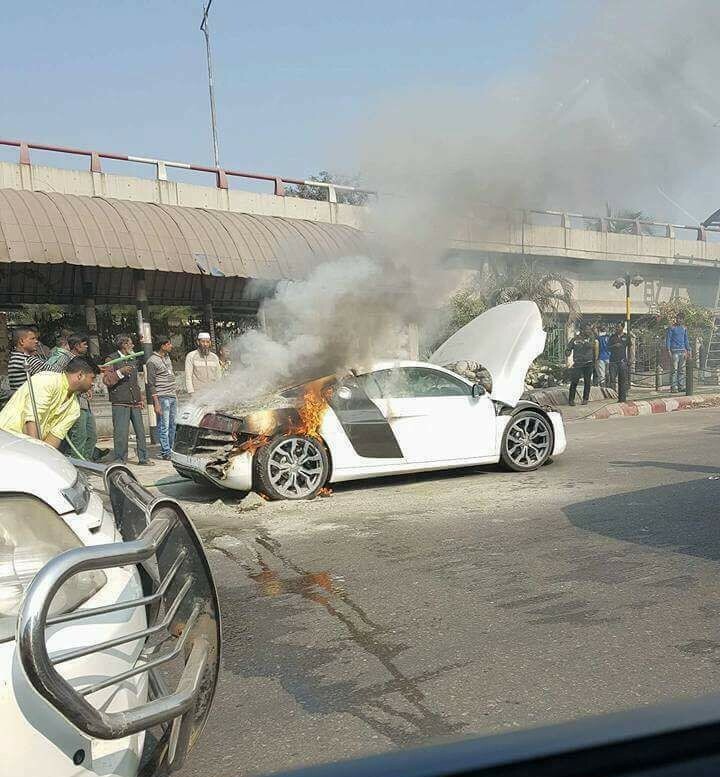 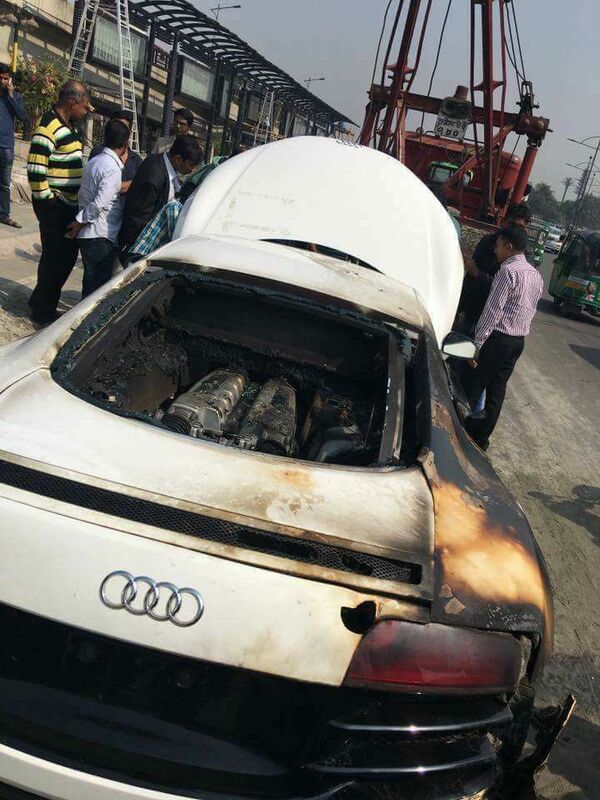 Last year this month of January a Audi R8 was burnt out on the highway at Dhaka city Downtown area. 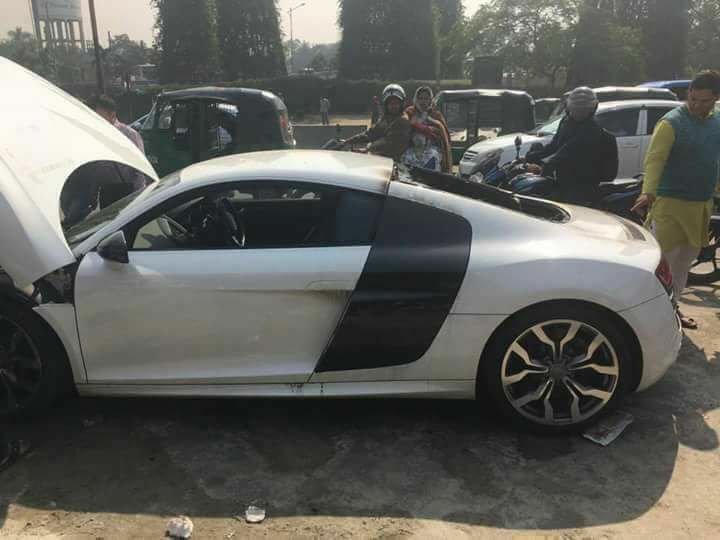 As we know this car was seized by Bangladeshi Customs violations of taxes, but they did not handling this supercar proper way. 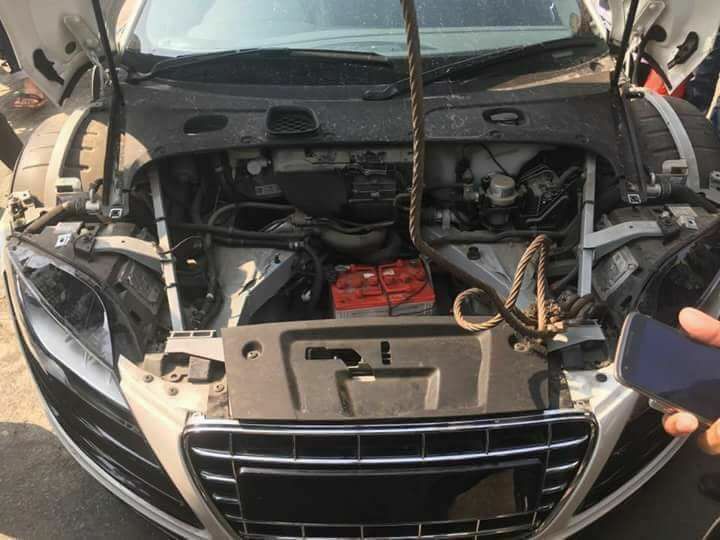 It Suppose they were very much enthusiastic to drive this car but there driving knowledge was totally immature, that’s results burnt out the car, it was assume they did not maintain the gear shifting perfectly while driving. 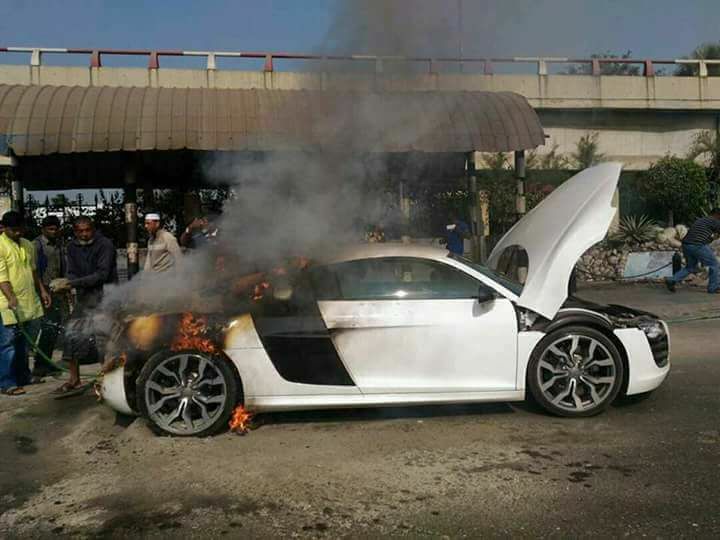 Audi R8 Burned RIP R8.